Union Square is the center of San Francisco's restaurant/shopping/art gallery/theater district. 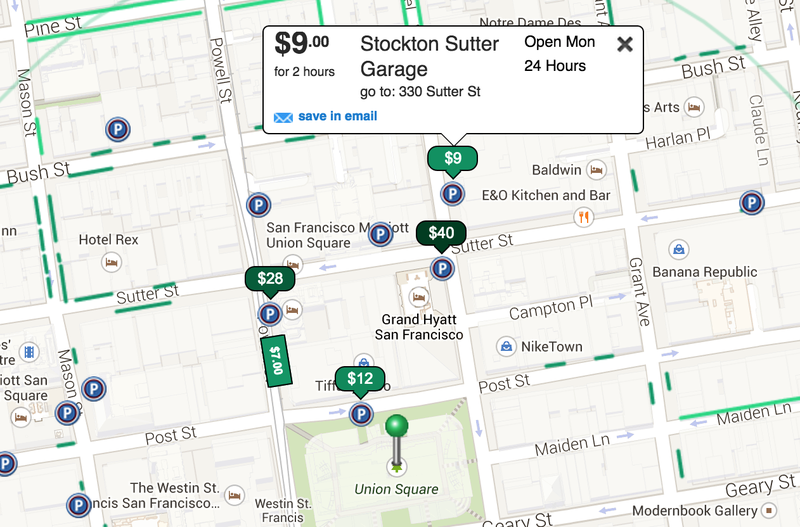 For 2 hours of garage parking starting 12 noon on Monday, the cheapest is $7, the average is $19, and the most expensive $40 in a .25 mile area. 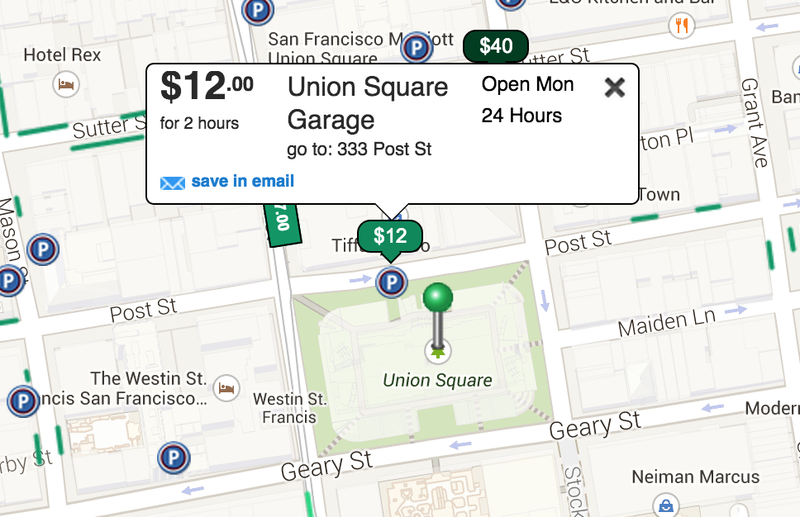 What happened to Union Square Garage, the garage that is underneath Union Square itself? It's $12.00. Perhaps the extra $5 that you spend to park for 2 hours there is worth the convenience of not walking to a cheaper garage that is further out. 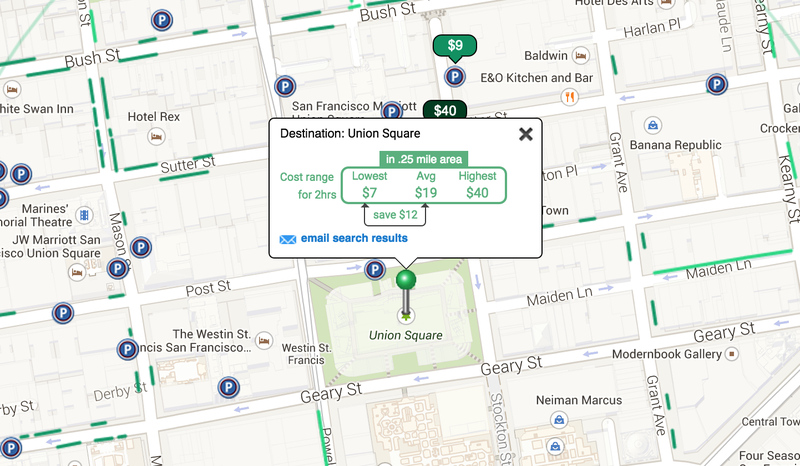 Depending on the location of the street, metered parking is $6.00 to $7.00 for 2 hours. 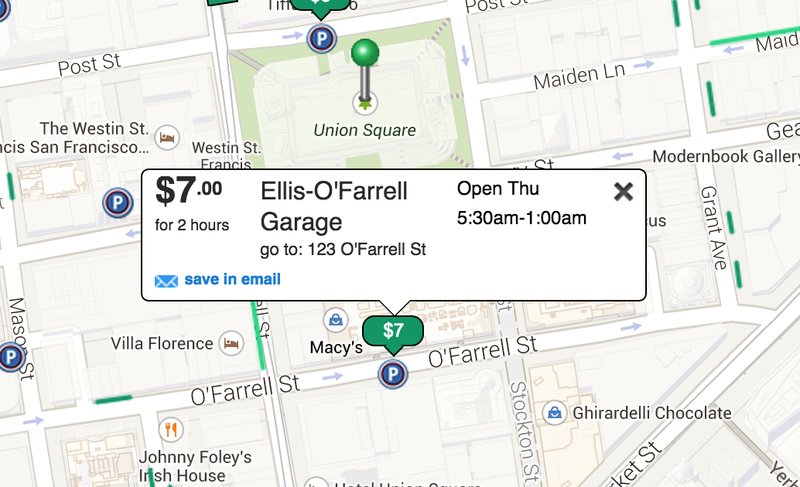 $7.00 is the same price as the cheapest garage parking, so it would make sense to park your car in a garage. Furthermore, meters have a 2 hour maximum limit. So you MUST move your car after 2 hours; otherwise, you will receive a parking ticket of $60+.